The Coalition of Resistance has launched this petition along with the list of initial signatories in a letter to the Guardian on 18 October. 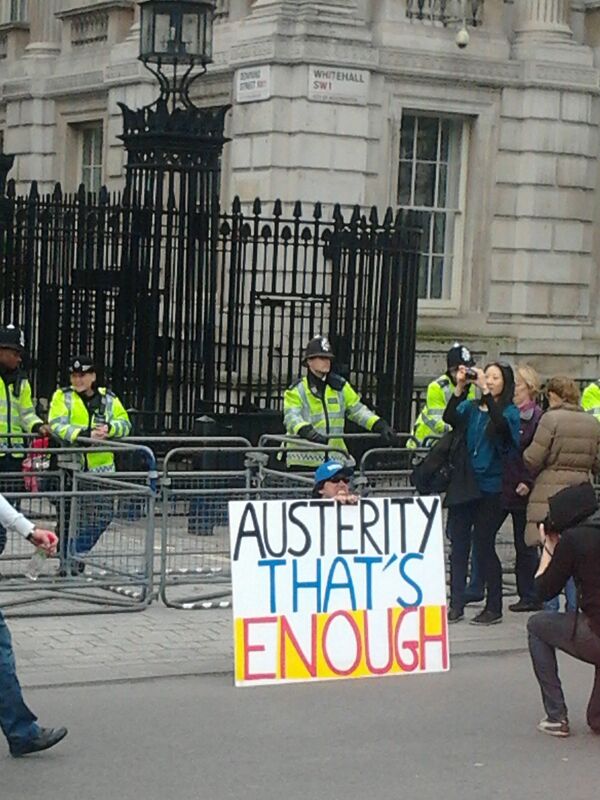 It will be handed in to Downing Street in June 2013 when we will be hosting a People’s Assembly Against Austerity. Full details to come soon. Please ask everyone to sign. 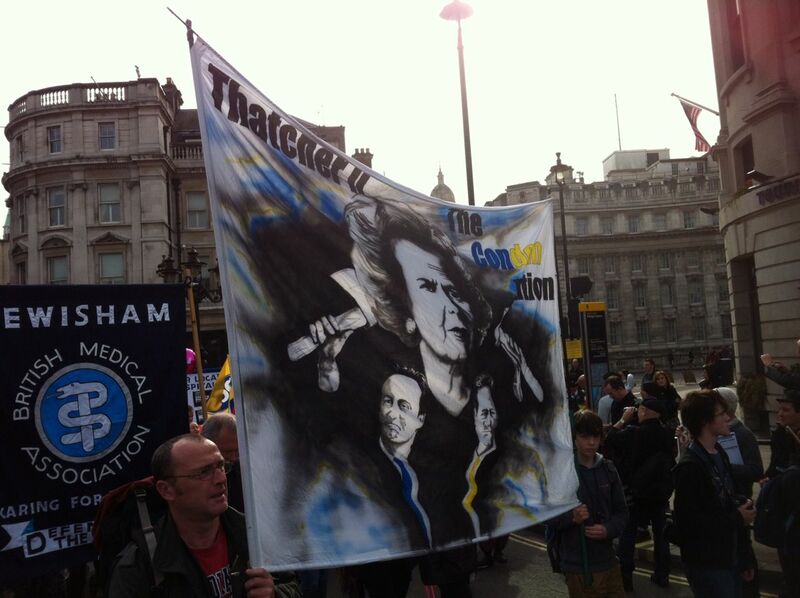 “The failed policies of the politicians and the bankers caused the financial crisis. Spending cuts are driving us into poverty. An economic alternative is essential to protect ordinary people, and to save the NHS and welfare state. Click here to download a printable version for street stalls, to take around your workplace, friends family etc. 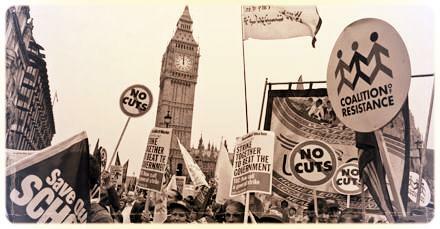 October 20th London anti-cuts demonstration: can you help? 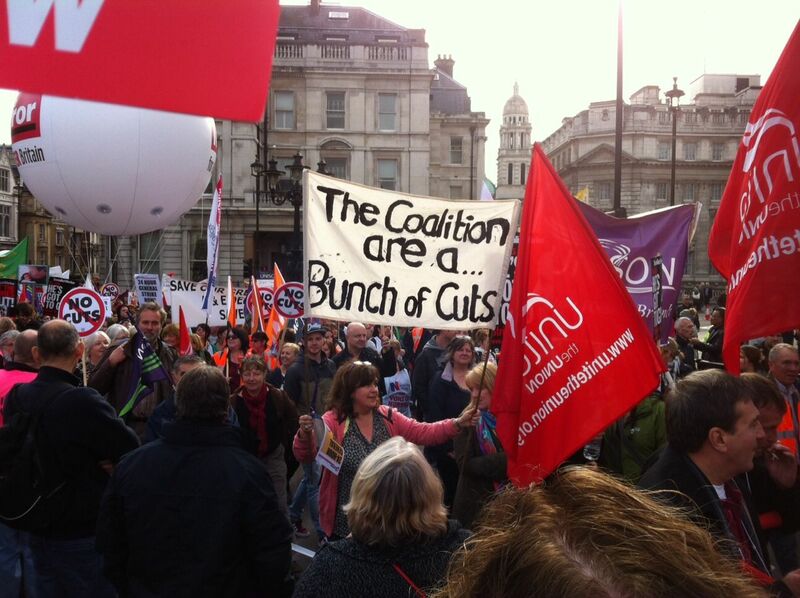 Coalition of Resistance is working for the biggest possible turn out on the TUC’s ‘a future that works’ demonstration. Hundreds of coaches have been booked from across the country and even some trains. Click here to see transport details. 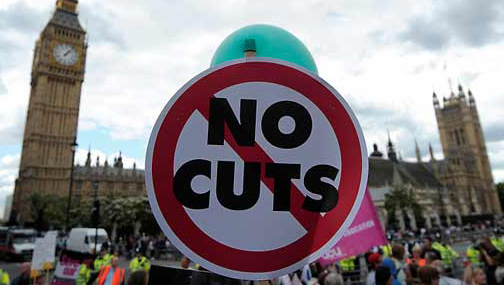 Our simple ‘No Cuts’ message is one which is more important than ever — more than 80% of planned cuts are yet to come. The demonstration will be our chance to show that despite all the propaganda from the government and the media, cuts are not necessary. Click here for some suggestions about how you can spread the word as widely as possible about the demo. 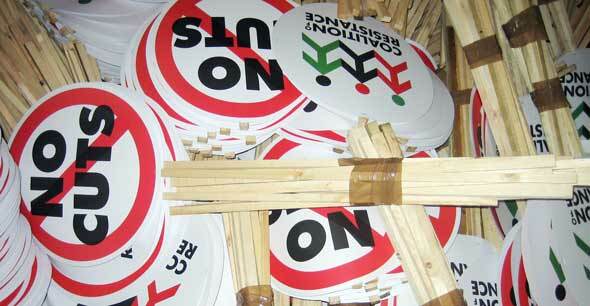 Click here to order Coalition of Resistance leaflets, posters and stickers publicising the demo. 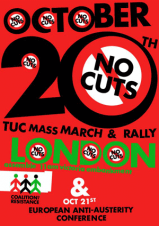 We are producing thousands of ‘No Cuts’ placards and a four page ‘demo special’ broadsheet with articles from leading figures in the movement about the alternatives to austerity. We are going to need a big team of people to help distribute these throughout the demo and to help make up the placards in the week before. We need hundreds of volunteers to help out on the day and in the run up to the demo. If you can join the Coalition of Resistance team, please email coalitionofresistance@mail.com or phone Sam on 07872 481769. 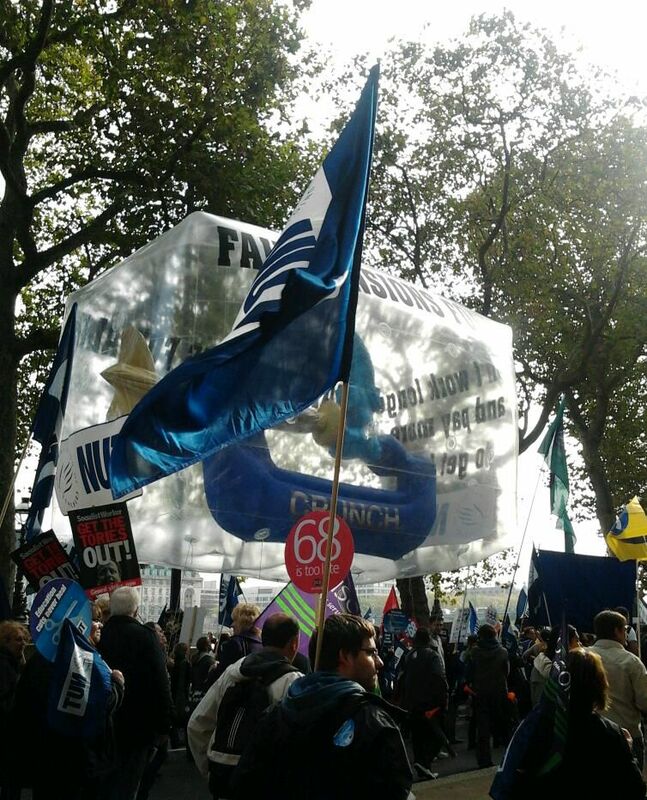 Coalition of Resistance Activist Meeting: Can you help for 20 October demo? Unions have announced a three-hour work stoppage and protest rally on February 29th, as part of a “European day of action” across the continent. The GSEE and ADEDY unions (umbrella and civil service labour groups) said the stoppage would be held between noon and 3pm, with a rally also planned for 6pm to Syntagma Square. The Brussels-based European Trade Union Confederation said 27 countries will be participating in the latest protest ahead of a EU leaders’ summit on March 1st. “In mobilising on the same day everywhere in Europe for the first time, the European trade unions are reacting at the same level of their anger and exasperation in the face of injustice,” Segol said. From an article posted today in Athens News.